Sleep Well Being is an advanced remedy for sleeping disorders to help promote deep restful sleep. It is composed of certified organic plant extracts to help calm and soothe the system. Safe and effective ingredients, it works time after time, results are guaranteed. 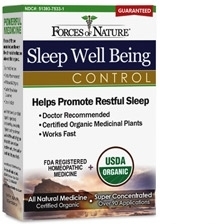 Sleep Well Being is a proprietary formula. 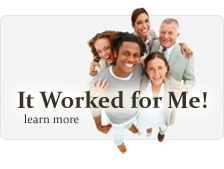 It is developed by Forces of Nature’s Naturopathic Doctor and company biologist and founder. It is truly one of a kind and used to ease sleep imbalance. Results are backed by our one year money back guarantee if you do not experience results. For those seeking an effective sleep remedy, this product represents a wonderful treatment option. It features our unique dual modality approach to well- being. It combines certified organic homeopathic medicines shown to balance the system with certified organic essential oils which are soothing and calming, delivering 2 actions in one. Our natural homeopathic remedy to ease sleep disturbance treats the person as a whole providing deep systemic action. The natural medicines in this treatment deliver a calming effect to correct sleep imbalance without causing adverse reactions. Homeopathic remedies have shown to be highly successful in the treatment of sleep disorder as they can calm the system. The essential oils support the effect of the homeopathic medicines; they are very calming and work on a cellular level. We are so confident this product works that results are backed by our one year money back guarantee. It is to be applied topically to the back of the neck or upper chest before going to sleep. Results are generally experienced within minutes after application. We go to great lengths to secure strictly certified organic material for all our treatments. Under such growing conditions the soil and plants are extremely healthy, and the most potent. This not only delivers the most powerful therapeutic effect but also is good for the planet and helps tackle environmental problems. No chemicals, pesticides or toxins are used to cultivate our medicinal plants, ever. They are grown in pristine sources all across the planet far from pollution sources like factories or roads, and still to this day, sourced directly by the company founder. The purity of this treatment is so established that is has been issued the coveted USDA organic certification. It is the first and only certified organic sleep aid and truly one of a kind. This product works. Without sufficient quality sleep one’s creative potential may not be achieved. Sleep can be disturbed by many different factors. These include anxiety, fear, stress, excitement, excessive alcohol or eating, certain medications, arthritic conditions, circulatory disorders, skin conditions, etc. For assistance with occasional difficulties falling and staying asleep. If sleeplessness persists continuously for more than 2 weeks, consult your doctor. Insomnia may be a symptom of serious underlying medical illness. Do not give to children under 12 years of age.